So what caused this problem? I searched on Google and only get 1 post about this but no good answer of how to solve it. Make sure your device is connected to a Wi-Fi or cellular network. Not the answer you're looking for? Browse other questions tagged iphone cellular-data . iPhone 5s aware of location even with no cellular service? 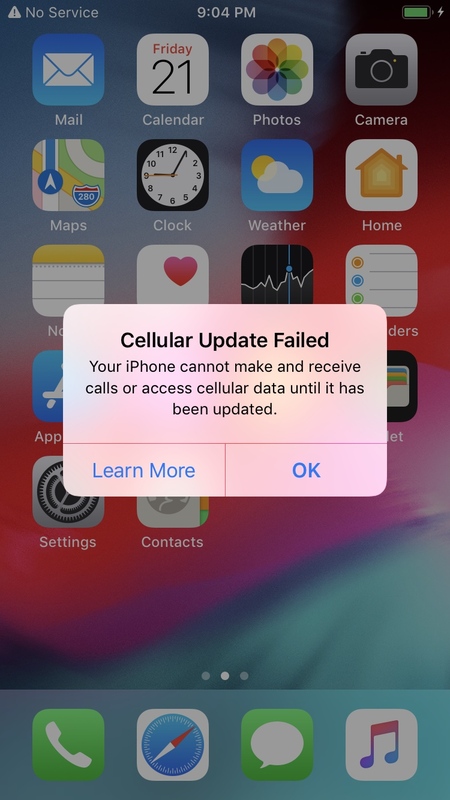 How do I fix iPhone SE celluar network after 12.1.2 upgrade?